The English department faculty tenure tracks are on the guillotine for next year. Graphic illustration by Laurel O'Neill. The university’s English department has been hardest hit by recent budget cuts, losing four positions as a result of declining university enrollment and less state funding. Enrollment figures have consistently diminished through the last two years, putting pressure on the university to make cuts somewhere, according to Mark Byrnes, dean of the College of Liberal Arts. The ultimate solution has been to make cuts in temporary full-time faculty, according to Brad Bartel, university provost. The College of Liberal Arts has taken nearly half of the cuts because it employs nearly half of all temporary full-time faculty members. In addition to enrollment issues, Gov. Bill Haslam recently announced that he had to redo the state budget, allotting less money to higher education due to lower than expected tax revenue. 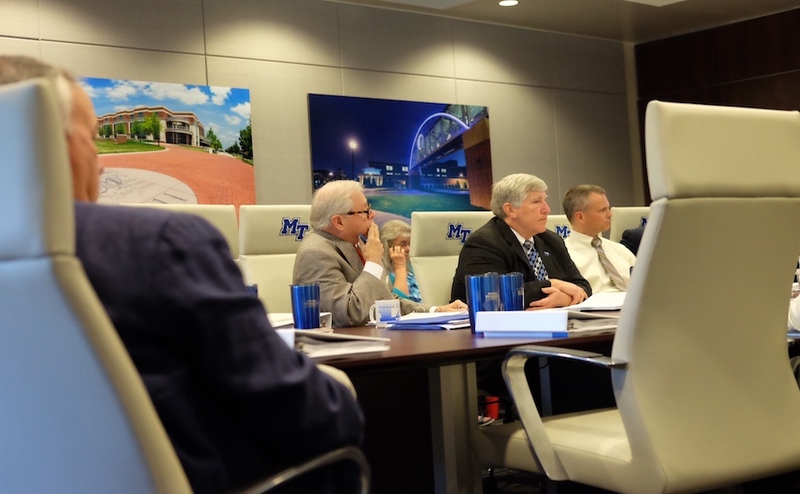 “It’s a possibility MTSU will not receive the money the government originally had for us,” Bartel said. According to Byrnes, nine positions were cut in the College of Liberal Arts, including four in the English department, two in history, two in speech and theatre and one in art. Only general education positions were cut, meaning fewer sections will be available to freshman and sophomore students, Byrnes said. “We won’t really know the impact until the full enrollment numbers come in,” Byrnes said. He and his staff may not know those numbers for certain until the middle of this summer. With five courses taught per lecturer, 20 fewer general education sections will be offered. This is the equivalent of 400-500 seats, according to Laura Dubek, director of lower division English. 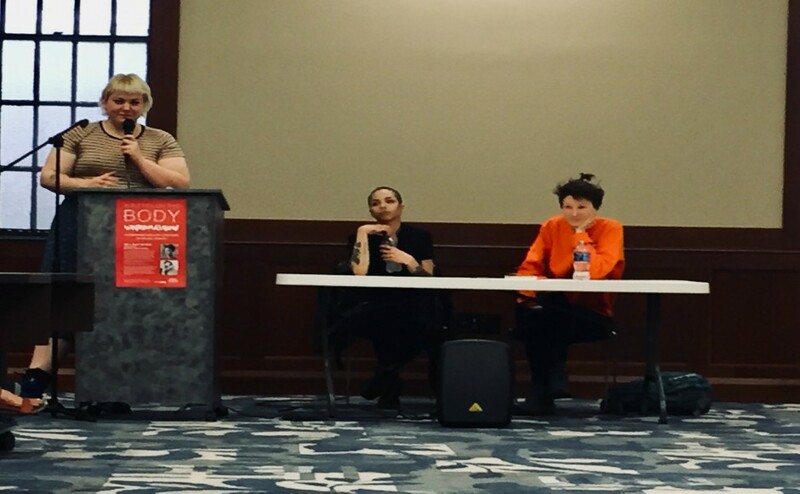 The likely outcome is that either the sections will no longer be offered or they will be taught by part-time adjunct faculty, said Tom Strawman, chairperson of the English department. “When people are treated as commodities, they learn quickly to follow the money,” Strawman said. Adjuncts do not have offices, computers or telephones making it difficult to interact with students outside of class. And with most on the road as soon as class ends to get to their next job, freshmen may have difficulty seeking them out for help, according to Strawman. The English department is sometimes seen as being overstaffed, primarily because it has fought to keep class sizes low in writing-intensive courses, Dubek said. To explain, Casal said teachers put a lot of work in outside the classroom for graduate research and service projects. “They say they support our graduate program, but then they say we don’t have enough hours,” Casal said. The English department doesn’t offer any classes with 100 students, and now it is being pushed to teach larger sections and use more Scantron exams to adjust to the labor issues, according to Casal. Casal believes this model would cause more harm than good. According to Bartel, 180 full-time, non-tenure staff was on campus before the provost office decided to cut 20 of them. The dean of each college determines where the cuts come from according to where the least needs are, Bartel said. “These faculty are on year-to-year contracts and know their time at the university is due to need,” he said. The English department is taking one-fifth of the hit because it has the highest number of faculty, Byrnes explained. As of fall 2013, English has far more faculty than any other department with a total 85 people on staff, according to the MTSU Fact Book. The history department has the next largest faculty with 48 staff members. 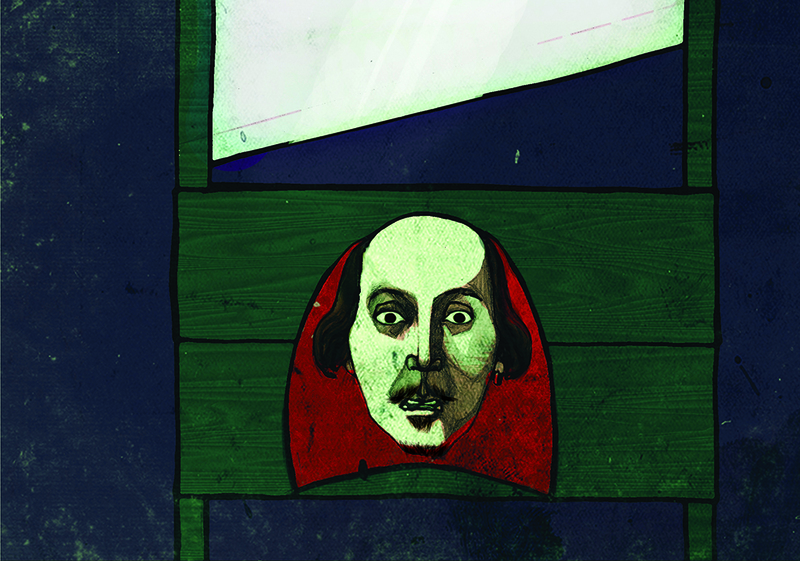 Graphic illustration by Laurel O’Neill. The English department has 415 students, the highest such figure in the entire College of Liberal Arts, although other departments across campus have much higher numbers of students. In the recording industry department, 1,179 students were enrolled in 2013. The nursing program had 1,295 students and the accounting department had 656. With less money coming in from the state government, the university has to consider raising tuition. Bartel said he understands it is hard for working students when tuition goes up. He cannot tell for sure what will happen, but said he is trying to be a good steward of the university’s finances. 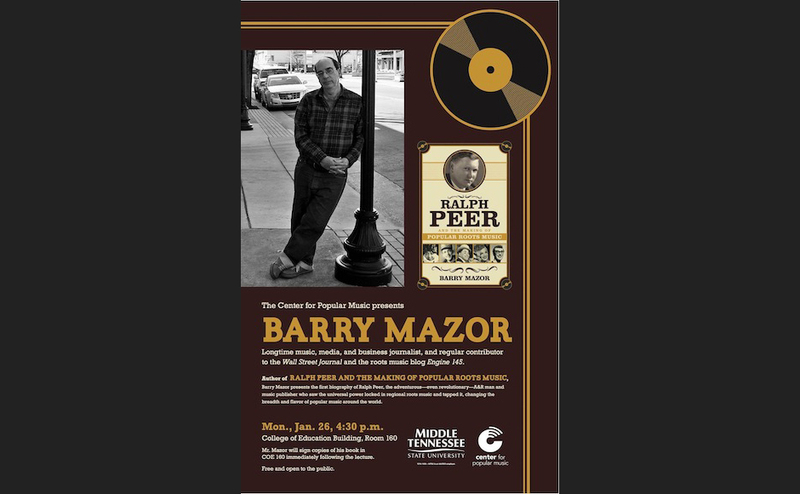 “The average income of an MTSU family is nearly half that of a [University of Tennessee-Knoxville family],” he said. The university has many resources to help students in need, including the newly implemented microgrants, which aid students with marginal expenses like books and supplies, and the food pantry in the new Student Services Building, according to Bartel. Enrollment is not the only thing affecting the university, but retention has decreased significantly over the past few years as well, Bartel said. Bartel hopes the student success initiative rolled out by university president Sidney McPhee this past spring will improve retention numbers. Some of the new programs include more predictable tutoring hours and the academic alert for midterms. “I think we will be giving students great service in and out of the classroom,” Bartel said. Recent studies on retention show the most important factor to ensure student success is what happens in the classroom, according to Dubek. New, focused advising programs are good on paper, but not for programs that are already doing well, Casal said. “Instead of all these positions they could give us some faculty lines, and we could do our own advising,” she said. With the hiring of part-time adjuncts and non-faculty positions, the number of tenured faculty has significantly declined across the nation, Casal said. According to the Annual Report on the Economic Status of the Profession by the American Association of University Professors, the number of part-time faculty members has grown by 286 percent since 1991. 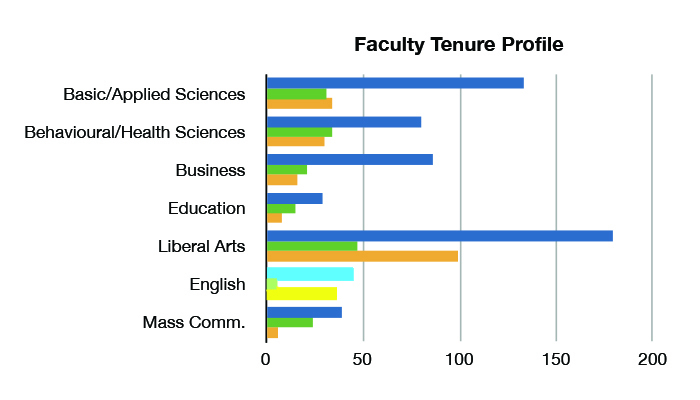 In contrast, the full-time tenured and tenure-track faculty appointments have only seen a 23 percent growth. Also listed in the report was the growth of full-time senior administrative positions by 141 percent. Of the 85 English faculty listed in the Fact Book, 44 of them were tenured and five were on track to be tenured. In the fall 2013, 78 “executive/administrative” staff and 551 “professional/non-faculty” were listed in the Fact Book, with a total of 963 faculty members. According to the university provost website, 18 new faculty positions have opened since January and five professional positions are now open. According to Lana Seivers, dean of the College of Education, her college will lose three temporary positions. The College of Basic and Applied Sciences had 4,490 students enrolled in 2013, and the College of Behavioral and Health Sciences had 5,114, making them the largest colleges on campus. Dean Bud Fischer of Basic and Applied Sciences could not say if his college would see any cuts. Harold Whiteside of Behavioral and Health Sciences maintained that his college did not have any faculty cuts coming before the coming fall semester started as far as he could tell.